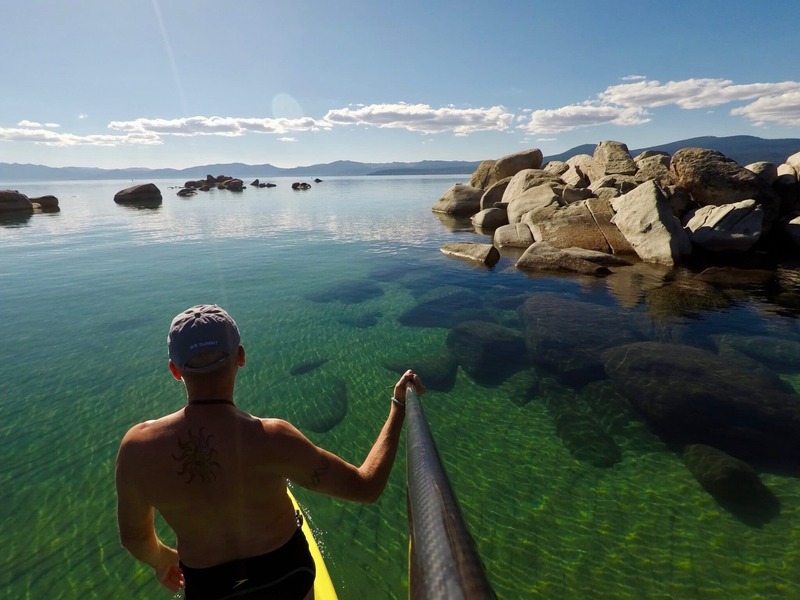 The water surface of Lake Tahoe sits at an average elevation of 6,225.1 ft or 1.2 miles above sea level. This creates the metaphorical and poetic name, “Lake of the Sky,” for a lake that is so high in elevation; it literally and figuratively resides in the heavens. In addition, the name “Lake of the Sky” comes from the many moods of the sky reflected on the surface of the Lake.